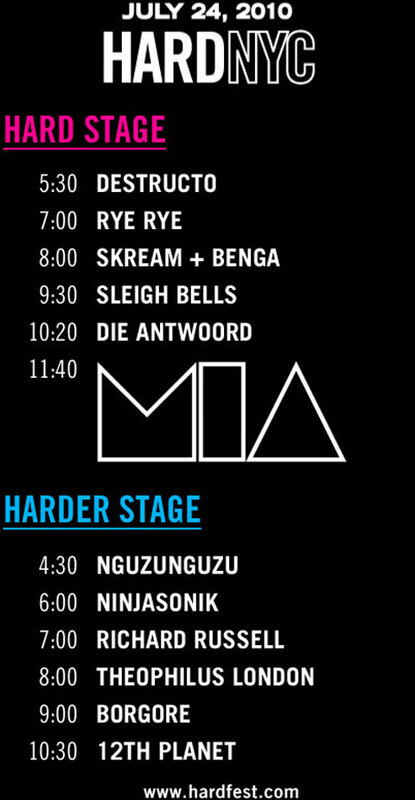 This entry was posted on July 23, 2010 at 10:51 am and is filed under Uncategorized with tags Hard NYC, Hardfest set times, Theophilus London. You can follow any responses to this entry through the RSS 2.0 feed. You can skip to the end and leave a response. Pinging is currently not allowed. my boy went to this show. good stuff.